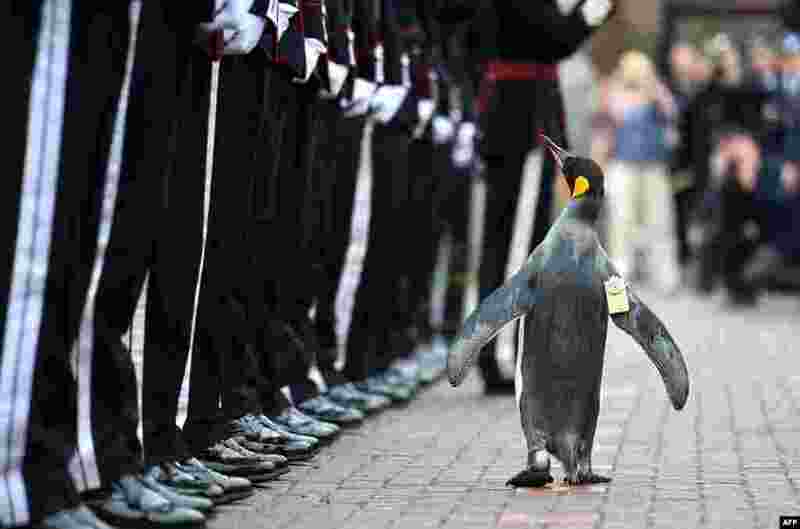 1 In a handout picture released by the British Ministry of Defense via their Defense News Imagery website, Nils Olav the penguin inspects the Guard of Honor formed by His Majesty the King of Norway’s Guard at Edinburgh Zoo in Scotland. 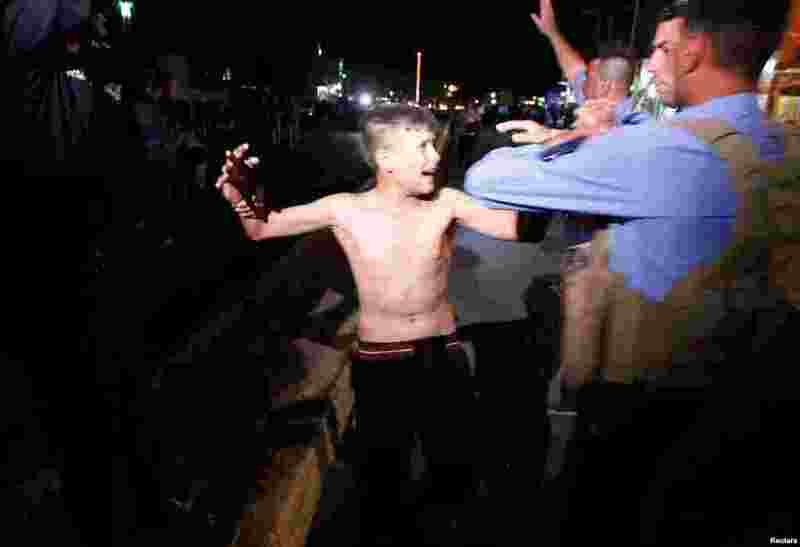 2 Iraqi security forces detain a boy after removing a suicide vest from him in Kirkuk, Iraq, Aug. 21, 2016. 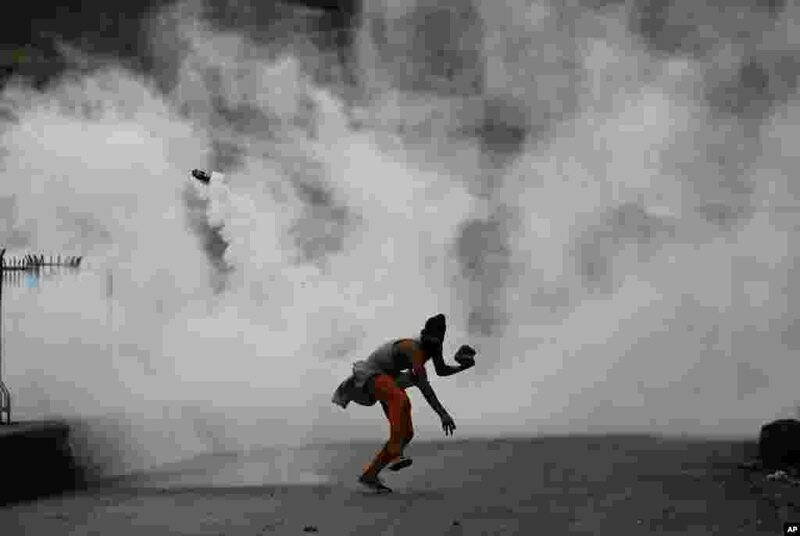 3 A Kashmiri demonstrator throws a tear smoke shell on government forces to protest against the Sunday's killing of a young man in Srinagar, Indian-controlled Kashmir. 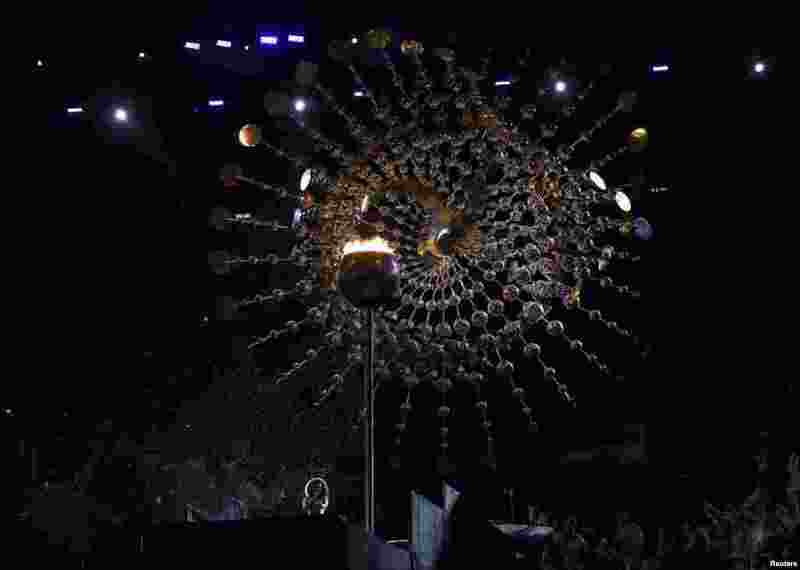 4 Brazilian singer Mariene de Castro sings as rain extinguishes the Olympic flame during the closing ceremony in Rio de Janeiro, Brazil, Aug. 21, 2016.